Spend much time around bourbon makers and you begin to wonder, where are all the women? Louisville spirits writer Fred Minnick has the answer: they are there; you just have to look for them. 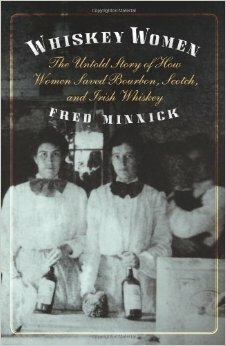 In his Whiskey Women, The Untold Story of How Women Saved Bourbon, Scotch and Irish Whiskey, Minnick, left, unearths such beauties as “the Poteen Queen of Scotstown,” the early 20th century Irish equivalent of a bootlegger. And Belle Starr, the “Bandit Queen,” who stole whiskey from whites in Western Arkansas and sold it in Indian Territory.